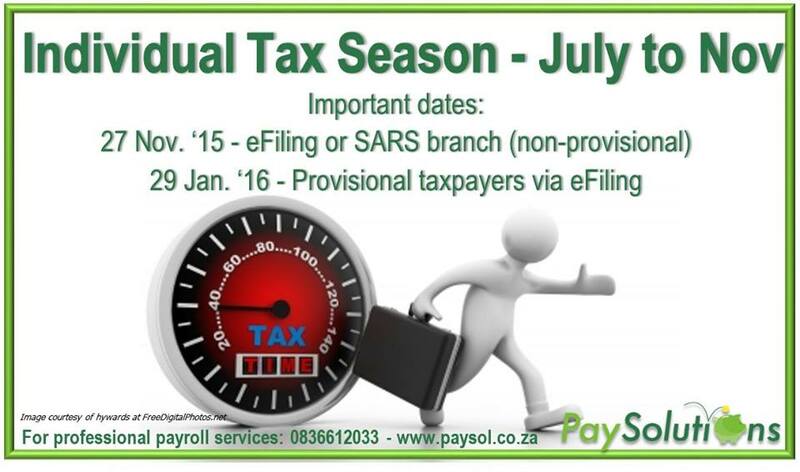 Individual Tax Season runs from July to November, however, provisional taxpayers who submit via SARS eFiling have until January 2016. 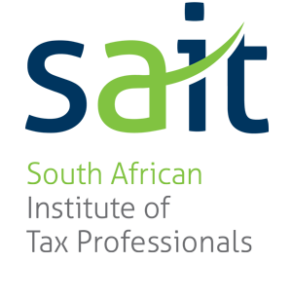 Individual taxpayers, who submitted their returns manually or by post, had to do so by 30 September this year, non-provisional taxpayers who submit at a Sars branch have until 27 November 2015. To make the filing process easier over 14 000 Sars officials have been deployed at various strategic points throughout the country. About 21 temporary service points have been be set up to help people submit their returns. Sars have also invested in new technology to make the system easier, Sars will also be investing in biometric analysis system in future in order to verify people’s documentation in order to eliminate the risk of identify theft. 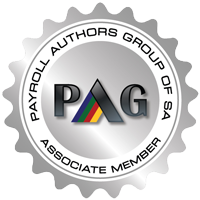 Travel logbook, if undertaking business travel on behalf of employer.